The weather is phenomenal at present. Everyone is basking in the glorious warmth of the sun and moods have been lifted throughout the country. However, if you do not like the heat and want to stay inside, why not keep yourself busy by sprucing up your home. 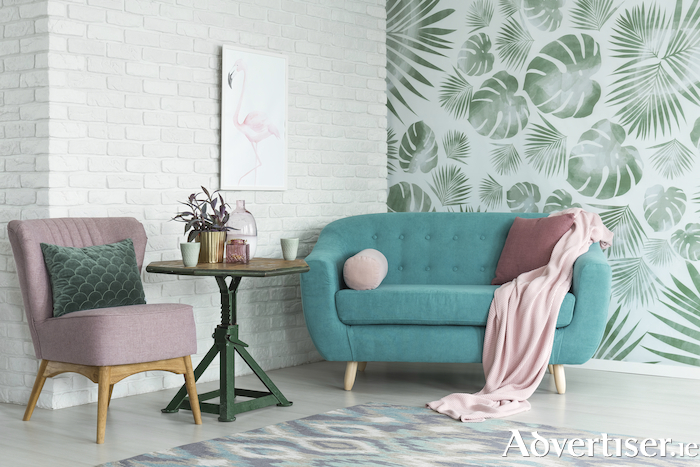 Here at the advertiser.ie we provide the top tips for interior designs this summer. Summer is one of the best times to do painting simply because warmer weather means the pain will dry quicker. The quick drying means you are able to apply multiple coats to the wall, resulting in the big paint job being completed in a few days, rather than a few weeks. The sun is out and the flowers are in full bloom; inside and out. Flowers can add that splash of colour to any room. Select flowers which are bold and colourful as they will create that summertime vibe in the home. And with your flowers placed perfectly around the home, why not keep the theme going with floral patterns. Floral patterns are very popular at the moment and summertime is the apt time to unleash them on the home. So there you have it. Time to brighten up your home this summer. If you would like to advertise your Painting & Decorating services visit Advertiser Classifieds.